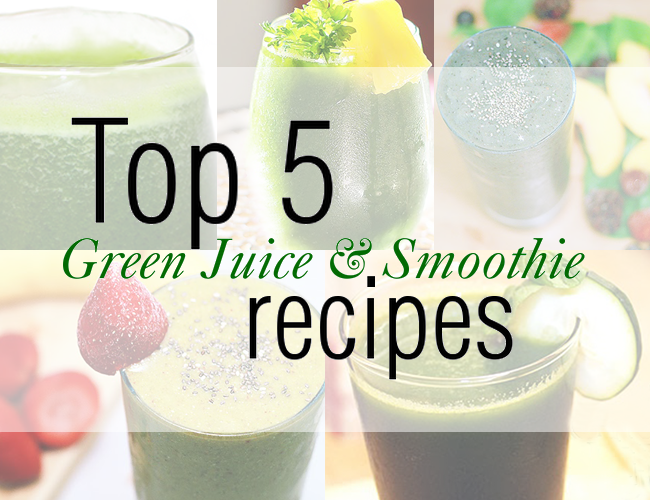 It’s been awhile since I’ve shared a juice or smoothie recipe and asI’ve been getting back into green juices and smoothies for the past few weeks I thought it would be fitting to share a few of my favorite green juice and smoothie recipes I have posted on A Good Hue. All the fruits, veggies and super foods in my Get Gorgeous Green Juice serve a purpose—they are all filled with nutrients, vitamins, antioxidants and a whole lot of goodness that provide beauty benefits for skin, hair and more. This juice tastes fresh, earthy, sweet and slightly minty from the parsley and is such a refreshing and healthy drink for summer. 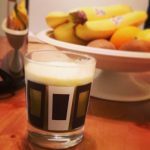 Don’t have a juicer? Just blend all these ingredients up with water for a quick smoothie! 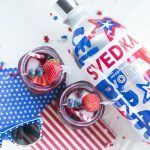 Click the link above to get the full recipe and all the deets on the good-for-you ingredients. The Green Detox Smoothie is perfect for those times when you feel like you’ve overdone it on the junk food. Filled with super foods such as chia, antioxidant-rich berries and plenty of spinach, you can get your healthy habits back on track. This thick, hearty smoothie makes a healthy breakfast or meal replacement. If you’re looking for a super sweet juice this is not the one for you, especially if you’re not a kale fan, I call this one the Mean Green Monster because well, it’s mean and it’s chock full of green goodness. Don’t be scared though, he won’t bite… hard. In all seriousness, while this one is intense on the green, it’s still amazing and so good for you. Definitely one to try! 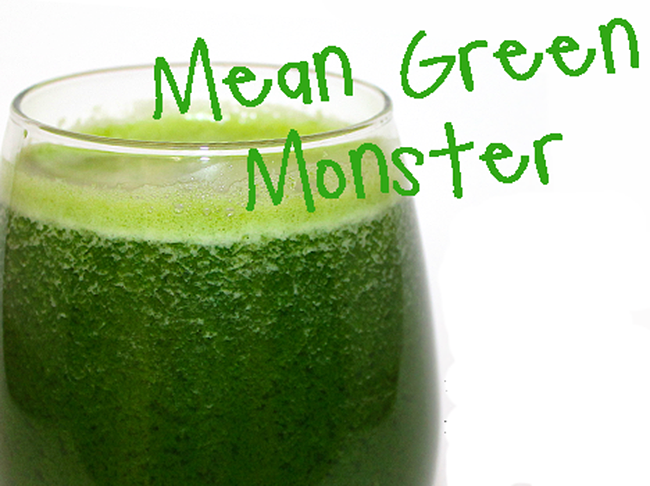 If the Mean Green Monster is just too mean for you then this one may be more up your alley. The Garden Variety Juice is one of those juices that has everything but the kitchen sink in it– have some extra lettuce laying around? An apple? Throw it in the juice. Leftover chard or even a zucchini you need to use up? Juice it up! This one is great because you can work off my base recipe and then add in or tweak it based on what you have on hand. Interested in trying a juice cleanse? 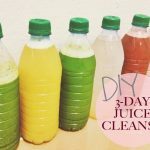 Get the recipes and instructions for my DIY juice cleanse!